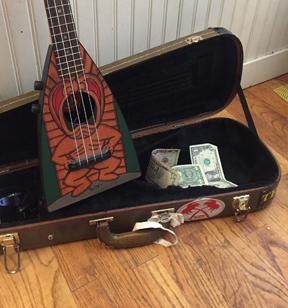 Black Bear Ukuleles are made by Luthier Duane Heilman in Yakima, Washington, USA. Duane has been designing, building, and repairing stringed instruments since 1991, and creating ukuleles since 1998. Duane builds one of a kind instruments with an artistic flair, incoroprating inovative materials and techniques, such as his "trademark" exotic handmade tuning buttons.